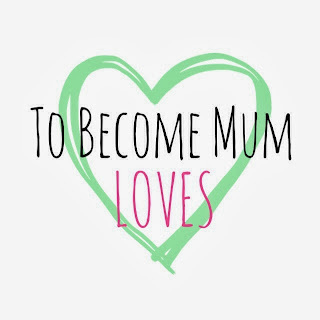 Since becoming a mummy, my bathroom routine has been cut down to 'how many minutes until baby wakes up?'. 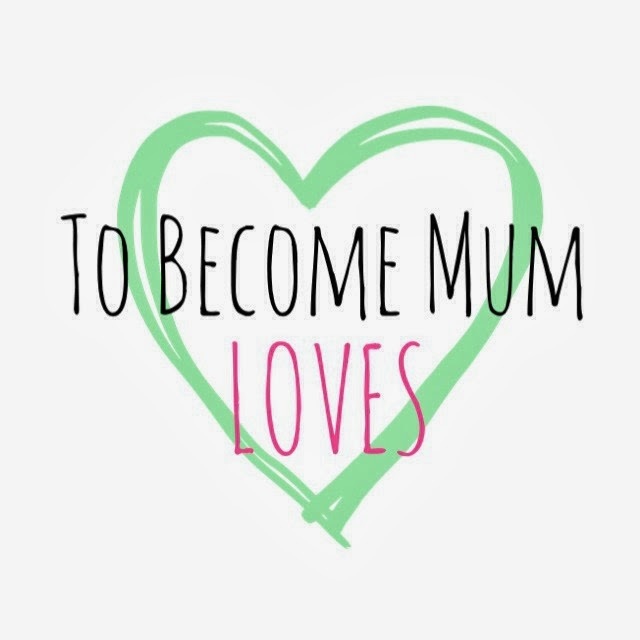 Like many busy women, I like to look my best but just don't have the time to indulge myself with regular long soaks in the bath and blow drying my hair every day - not when there's laundry to do, food to prepare, blogs to write, Christmas to plan... You get the idea! I've been trying to leave my hair a little longer in-between washes too, to see if it helps my scalp at all, and because it's getting so long, it can take quite a bit of care to wash, dry and style. 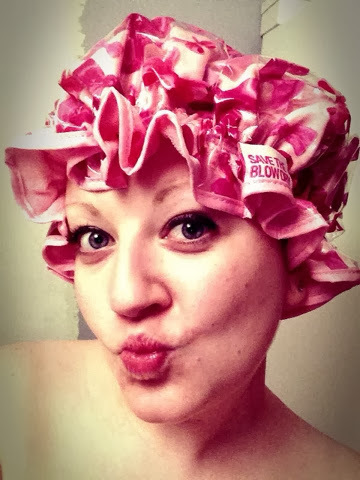 So, when the lovely people at Save The Blow Dry - a genius moisture eliminating shower cap - got in touch, I jumped at the chance to give it a go. 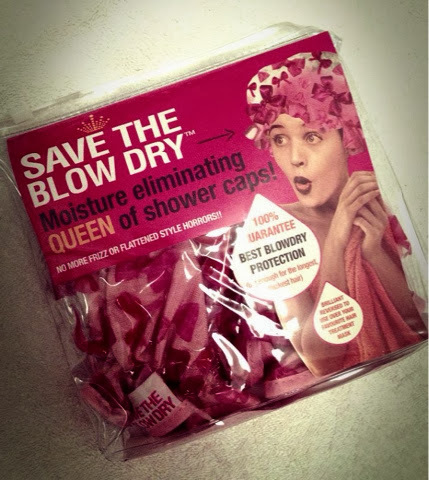 A quick bit of blurb about the product: Save The Blow Dry is a clever shower cap that offers two different uses. It promises to protect your hair, no matter how thick, thin, long, short, straight or curly, from moisture when you're in the shower or bath. In fact, it guarantees to give you the best blow dry protection, 100%. 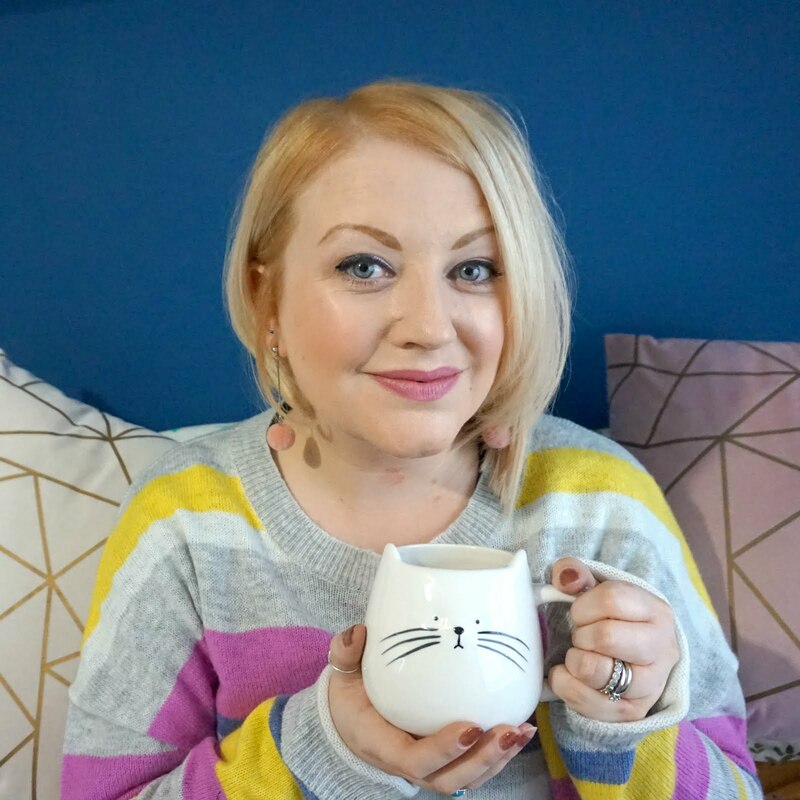 The second function comes when you turn the cap inside out, to slip over your hair when you've put on your favourite treatment, to make it work more effectively by keeping your hair nice and warm. 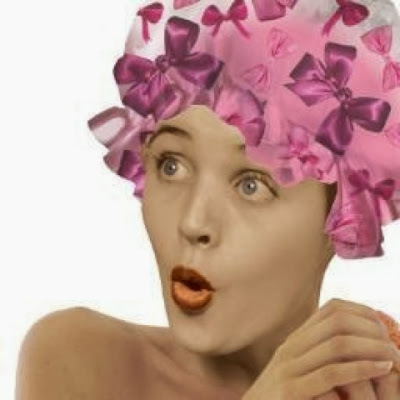 Apparently, the average woman spends more than two hours blow drying and styling their hair each week but in-between washes, your 'do can get limp or frizzy when you have your daily shower. As speed is of the essence these days for me, this cap is a new essential in my daily routine as it lets me get ready without worrying my hair is going to look a mess. On Sunday night, hubs sent me off for a soak in the tub - it was long overdue and the bubbles, glass of vino and soothing music did wonders to calm and soothe me, after removing the rubber duck and baby shampoo out the way of course! 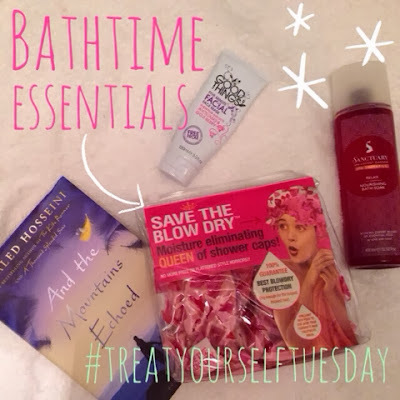 Even better, thanks to Save The Blow Dry, my hair remained dry and in tact so I didn't need to worry about it - I could simply settle down to watch XFactor with my hair styled the same as it had been before my hour long bath. So, what did I think? Well, I love the retro design - very Soap and Glory, it has real appeal with the bright pink lining and bow print detailing - and it's nice and big so there's plenty of room to cover your hair, even if it's in rollers (I'd love to give it a go in this way next time I have a big day / night planned). The towel lining is super soft and the cap is so comfortable to wear. I've bought shower caps in the past and they've always been too plastic and stiff, leaving indents around my hairline where it's pinched my skin. And of course, the disposable kind you get in hotels are pretty useless and not very pretty at all. Save The Blow Dry fits nice and snug but without being uncomfortable and after my long soak, my hair was still nice and dry and as straight as I'd styled it the day before. The best part for me though is the fact that there's two ways to use this and I'm looking forward to using it with a hair treatment next time I can close the bathroom door and float away on a sea of suds. Save The Blow Dry can be bought online here for £14.95 which is good value for such a quality and effective product. Ladies, put it on your Christmas wish list or buy for a friend as it's the perfect bath time buddy. * Note: I was sent the Save The Blow Dry shower cap for the purposes of this review but all opinions are my own - it's fab!